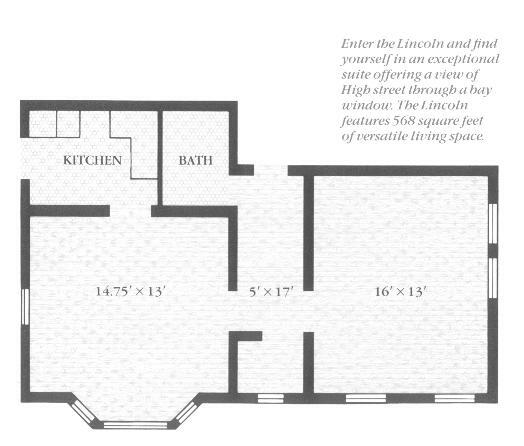 One of six basic floor plans at The Greystone Court Apartments. At The Greystone, it is the details that typify the timeless grace and beauty of the building. Accents like crown molding and working transoms, burnished brass light fixtures and antique chandeliers, gleaning hardwood floors and floor to ceiling windows work together to recreate the atmosphere of old world elegance. There is a laundry facility in the building, and it is a secured building. The Greystone Court Associates welcome you to The Greystone and hope you enjoy discovering these and many more of its' unique features.